Broken Bells is an indie rock duo which formed in 2009. 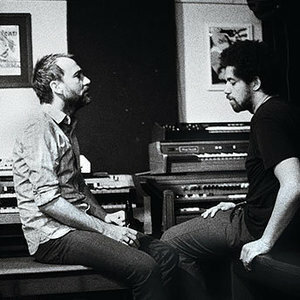 The band consists of James Mercer (vocals, guitar) and Brian "Danger Mouse" Burton (multiple instruments, production). Mercer is a member of the indie rock band The Shins and Burton is a member of Gnarls Barkley and DANGERDOOM, as well as being a respected producer for such artists as Beck, Gorillaz, The Rapture and The Black Keys. The debut self-titled album by Broken Bells was released on Columbia Records on March 9, 2010. The first single from the record, "The High Road", was released on December 21, 2009. The debut self-titled album by Broken Bells was released on Columbia Records on March 9, 2010. The first single from the record, "The High Road", was released on December 21, 2009.